You can have a successful construction process, but if employee’s belongings are not in the right place on Monday morning, it is all BAD. 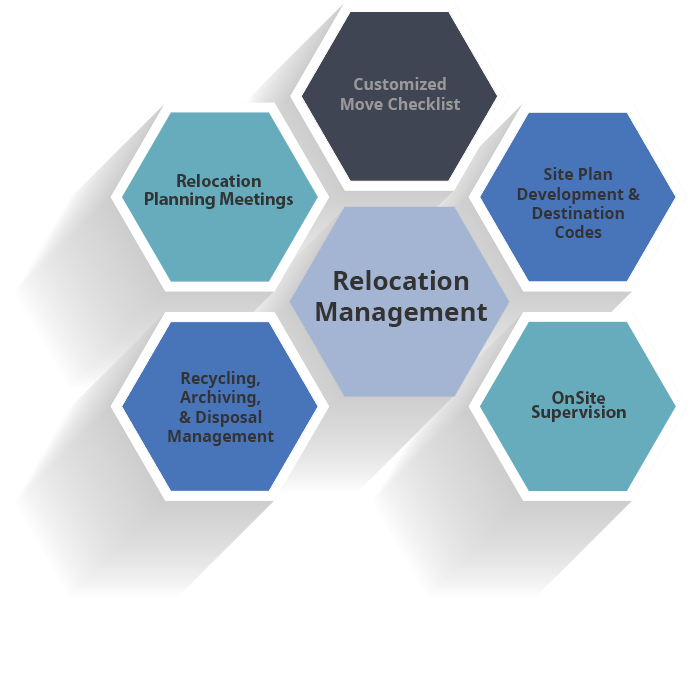 Coordinating a successful relocation requires a detailed plan – our team develops a plan geared to the culture and tolerance of your company. Whether you require packing services because you don’t have the people power in house to adherently pack or are undertaking a company-wide purge party, we can provide the necessary tools and procedures. With over 100 moves of various sizes and complexities under our belt, we have generated a detailed checklist to ensure nothing falls through the cracks.